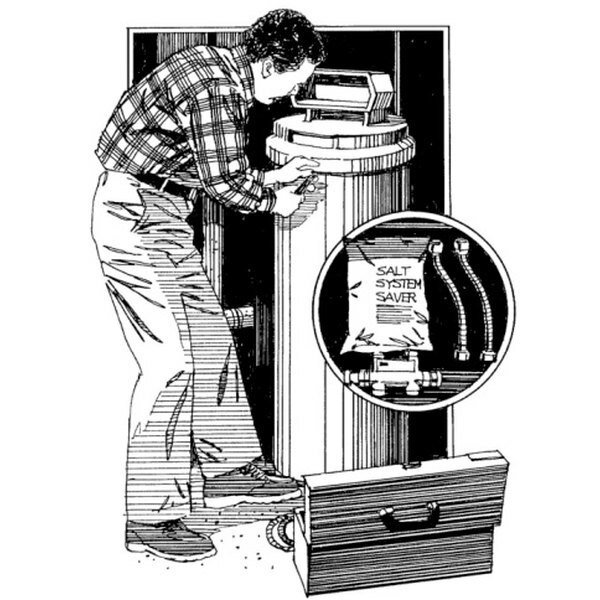 Do Salt-Based Water Softener Systems Harm Home Septic Systems? What Is the Natural State of the Element Potassium? Describing a fluid like water as "hard" may seem counter intuitive, but the adjective simply refers to the concentration of minerals present in everyday tap water. These minerals -- mainly calcium and magnesium -- create a number of problems for humans and their appliances, but softened water has limitations of its own. While most water softeners use salt, there are a few types of systems that promise to “condition” the water to mitigate the damaging effects of hard water without actually removing the minerals. Water is a universal solvent. As groundwater passes through rocks, it picks up trace amounts of minerals that bond with soap molecules in your home, interfering with virtually every cleaning task including laundry and dishes. Hard water deposits spots on dishes and may leave clothes dingy as the dirt and soap form a curd with the minerals and sink back into the clothing fibers. Salt softeners work on the concept of ion exchange. The calcium and magnesium ions in hard water are positively charged. So, too, are the sodium ions produced in the softener's brine tank. Both the brine tank and the ion exchange unit are generally installed outdoors or in a garage, similar to a water heater. The magnesium and calcium enter the ion exchange unit and stick to negatively charged beads where they replace the weaker charge of the sodium. Soft water then enters the house with a concentration of sodium ions instead of magnesium and calcium. Units that use media like activated charcoal, or electrostatic means to “condition” water, are the most common alternatives to ion-exchange softeners that use salt. There is a wide disparity in the efficacy of these products, however, so shoppers should ask about the certifications each unit has received before committing to an expensive treatment system. These "conditioning" methods may offer health benefits over salt systems, as the World Health Organization has warned that drinking demineralized water may negatively impact the body's ability to metabolize minerals overall. There are also possible impacts to the digestive tract mucous membrane, but study results have been inconclusive, according the WHO. Salt softeners remove up to 80 percent of the scale-causing minerals. Magnetic units consistently fail to reach the 80 percent threshold, but some types perform better than others. However, people on very low sodium diets, like those with heart disease, might consider a magnetic conditioning system instead of a salt softener. Soft water from a salt system contains up to 400 mg/L of sodium, depending upon the original mineral content of the source water, according to the Washington University in St. Louis Medical Center. The minerals in hard water are actually important micronutrients, and there is conflicting evidence regarding the effect of mineral removal on human health. For that reason, many systems include a bypass for the kitchen sink so that drinking and cooking water remains fortified with these minerals. Since salt-free conditioners don’t actually remove minerals -- they only mitigate the negative effects of scale buildup -- no bypass is required. Ask the Water Doctor: No Salt Softeners: Fact, Fiction or Fantasy? What Is Activated Charcoal Dietary Supplement Used for? What Is the pH of D.I. water? What Is Organic Unrefined Sea Salt?